Of course, with innovation comes higher costs; permanent artificial limbs can cost upwards of $100,000 and they need to be replaced over time. Be aware that “permanent” does not equate to lifetime. Ideally a specialized prosthetics and orthotics provider gets involved prior to surgery, working with the medical team on post-op controls, treatment plans and patient education. After surgery, swelling needs to be controlled or it will be difficult to fit the prosthetic to the residual limb. Pressure on the limb, usually in the form of a tightly fitting stump shrinker, flushes out fluid and helps the limb adapt into the right shape for a good fit. It’s important to keep amputees moving after surgery. With leg lower extremity amputations, the team usually has the injured worker standing up and using a walker first and may fit the individual with temporary leg to wear for few months. This allows the residual limb to continue healing and shrinking and gives the injured employee time to adjust to using a prosthetic. With no infections or complicated wound care, most injured workers heal well enough within a month to start the prosthetic process. Ideally, this is a collaborative process, involving a certified prosthetist, the physician and/or a physical therapist. It starts with a comprehensive assessment of the injured employee’s physical and cognitive abilities to use the limb. The certified prosthetist conducts objective tests to determine ambulatory ability, with the two best-known tests being Ampro and Pavet. Providers interview the individual about his/her lifestyle and workplace demands in order to select the most appropriate device. Is the person a fisherman or a runner? What are the job’s physical demands? A functional capacity exam compares the injured worker’s capabilities to the demands of the job and determines the type and amount of therapy needed to help return the person to work, preferably with no limitations. Obviously, an amputation is an incredibly traumatic experience and the assessment needs to identify any psychosocial barriers to using a prosthetic. Perceived injustice is a common one. If the accident is someone’s fault or due to blatant negligence, it’s harder to accept. Using the evaluation’s results, the team recommends a prosthetic and prepares a quote detailing the materials, manufacturer and all the components. Once the quote is approved, a cast of the residual limb is taken and manufacturing of the prosthetic is ordered. Manufacturing takes typically two weeks. After fitting a permanent leg, the certified prosthetist sees the injured worker each week for gait testing and adjustments. These follow-up visits gradually extend to biweekly appointments and eventually take place every six months. Issues with care. If not properly managed, edema slows recovery and the injured employee will be out of work longer and likely need several prosthetics. Delays in authorization and treatment. Delayed recovery and return to work occur when injured employees are not evaluated and fitted with prosthetics as soon as post-surgery healing has occurred. Waiting for a prosthetic assessment keeps the injured worker sedentary and prevents the residual limb from achieving its best shape. If it takes weeks to schedule the initial assessment or a quote sits on someone’s desk for a month, costs – and frustrations – mount. Inflated or confusing quotes. Prosthetics themselves are expensive, typically ranging from $15,000 to $70,000 for a leg, depending on its features. Sockets, the parts that connect prosthetics to residual limbs, can run $5,000 each. There are thousands of billing codes, which are foreign to most claims managers. Next week’s article will focus on a clinically driven approach to managing prosthetic costs. Jan A. Saunders, a certified prosthetist and orthotist, manages HomeCare Connect’s orthotics and prosthetic services. Saunders’ experience and expertise in the field span 43 years. He began his career as a prosthetic technician before attending Northwestern University in Chicago and later becoming board certified by the American Board of Orthotics and Prosthetics. Saunders’ areas of clinical expertise include all prosthetics and scoliosis bracing. 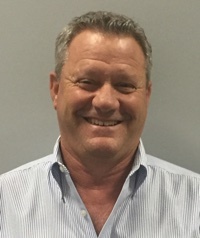 He has a proven track record in business operations, clinical operations and profitability and is also the senior vice president and Chief Clinical Officer for Orthotics and Prosthetics by Design. Previously, Saunders owned and operated his own company with 14 offices and later sold it to a publicly traded company. Contact him at jsaunders@homecareconnect.com. HomeCare Connect is a national ancillary network focused on workers’ compensation and providing home health, durable medical equipment, home modification, and orthotics/prosthetic services. Orthotic and prosthetic services include a credentialed, national network of credentialed providers, a specialized account team, and clinical quality review conducted prior to invoicing to determine consistent coding and eliminate any double billing, up-coding or unbundling. The privately held company has a clinically driven model — from its 17,000+ credentialed provider network — to its highly experienced clinical staff who coordinate everything related to care, medical supplies and equipment delivered in the home. HomeCare Connect ensures the injured employee receives the right care, equipment and supplies from the right providers at the right time. The company can be reached at www.homecareconnect.com or 855-223-2228.